I did this with a spray color! Hehehehe! Got ya! This is how the bottle looked after I completely emptied it! ;-) A total mess!!! 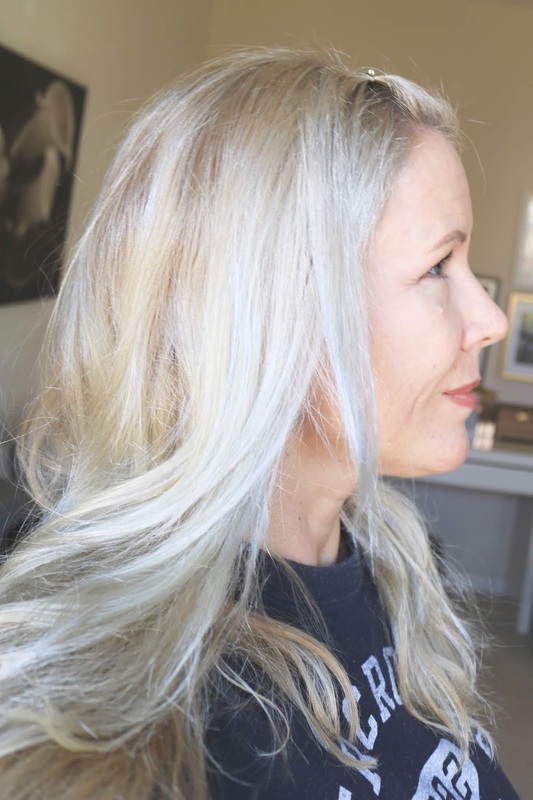 Yes, this is totally just a spray color! But I have to say: this stuff looks freaking real and I am surprised that it doesn´t make your hair stiff (you know like a hair spray does). My hair feels soft and it looks shiny and healthy. However: this stuff is MESSY AS HELL! There is so much silver sparkle inside that bottle that got literally everywhere! The good news is that it is easily washable with water and soap- from my hands, from my pillow and from my yoga mat (I was in the gym yesterday and my black yoga mat had a big silver stain afterwards from where my head was resting lol!). 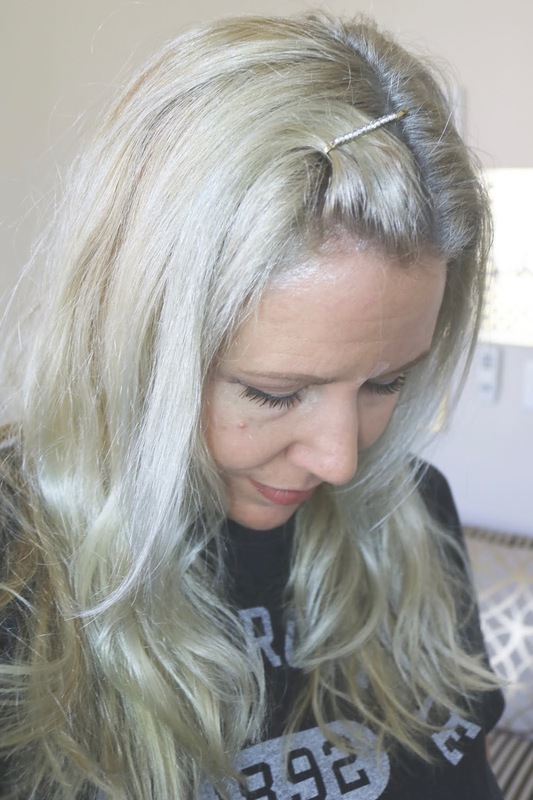 I needed the whole bottle for my hair (that is pretty long and thick) and there was still blonde hair peeking through - but I actually like the effect, almost like silver highlights! 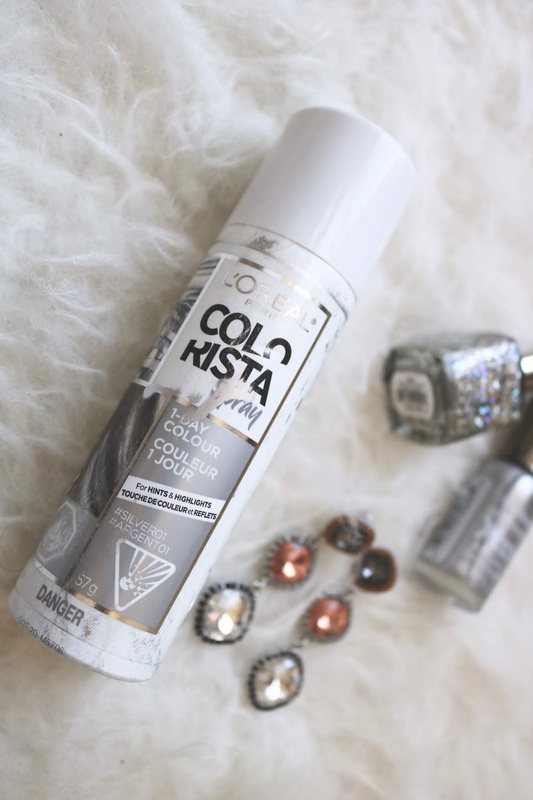 I have used the rosegold spray too (check it out here) and it wasn´t as messy as the silver! Yep, the silver is going everywhere- so be prepared for that. 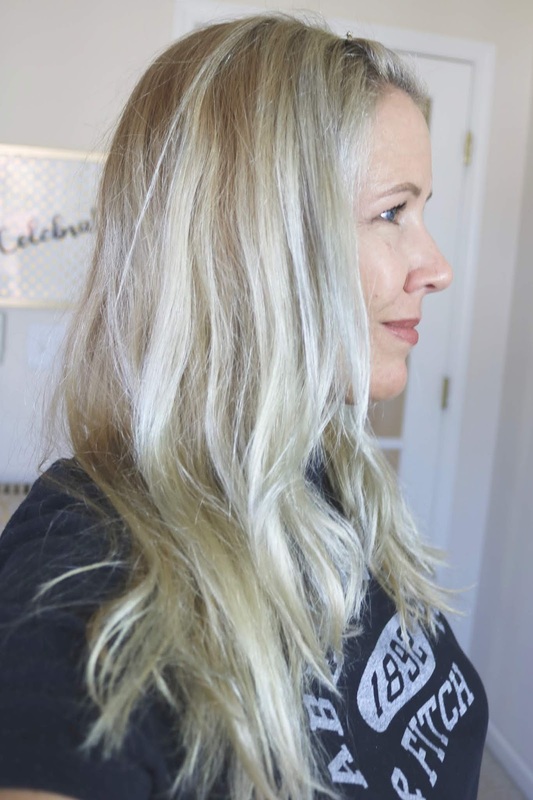 However, this stuff is great, if you aren´t brave enough to permanently commit to a new crazy hair color, or if you just want to try it out to see if you really could commit to that color!